On Wednesday the 1st October 2014 millions of motorists across the UK will be heading to their cars, removing their tax discs and throwing them in the bin. This is because as of this Wednesday motorists will no longer be required to display a tax disc in their vehicles in order to prove that they have paid their tax. This is all part of a new government scheme which is attempting to streamline the DVLA by making road tax payment – and the monitoring of which vehicles have valid road tax – digital. This means that from now on the tax paid will no longer be attributed to the vehicle itself but the owner of said vehicle. Motorists who choose to sell their vehicles will therefore receive a refund of any full months’ worth of tax left on their car after they have sold it and will also be able to tax their cars instantly via phone or online. The DVLA is also offering motorists the ability to set up Direct Debits for their road tax so that they can spread the cost each month instead of paying lump sums. However, even with all these supposed benefits motorists across the UK are still concerned over the new system. 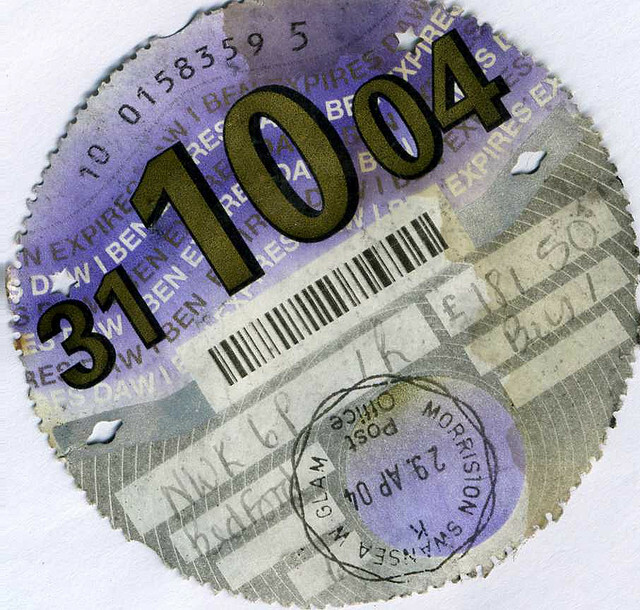 Many have claimed that the government has not provided enough information about the changes and that as a result motorists could end up not paying the right amount of tax. According to a survey conducted by the RAC, almost forty four per cent of motorists think that scrapping the paper tax disc will lead to more people trying to break the law. Discussing the survey, RAC chief engineer David Bizley said: “There is clearly concern among those motorists that we surveyed over the issue of enforcement. “Most of the changes make sense and will benefit the motorist, but too many motorists are unaware of the detail and the big question has to be whether enforcement using only cameras and automatic number plate recognition will be sufficiently effective. There are clearly many people who still believe that the humble tax disc is a simple yet highly effective way of ensuring all motorists pay their VED. As a result, there is real concern that without the need to display a disc, less scrupulous motorists will take a chance and try to evade payment. Along with an increase in crime, motorists are also concerned that they could face hefty fines if they accidently fail to tax their vehicles properly. According to the DVLA, all motorists must learn the new system otherwise they could face up a fine of up to one thousand pounds for not taxing their vehicles properly. Many have criticised this decision as they complain that it is unfair on the older generation who may not have access to computers or who may find the new online system confusing.